This continental wallet is as stylish as it is functional. 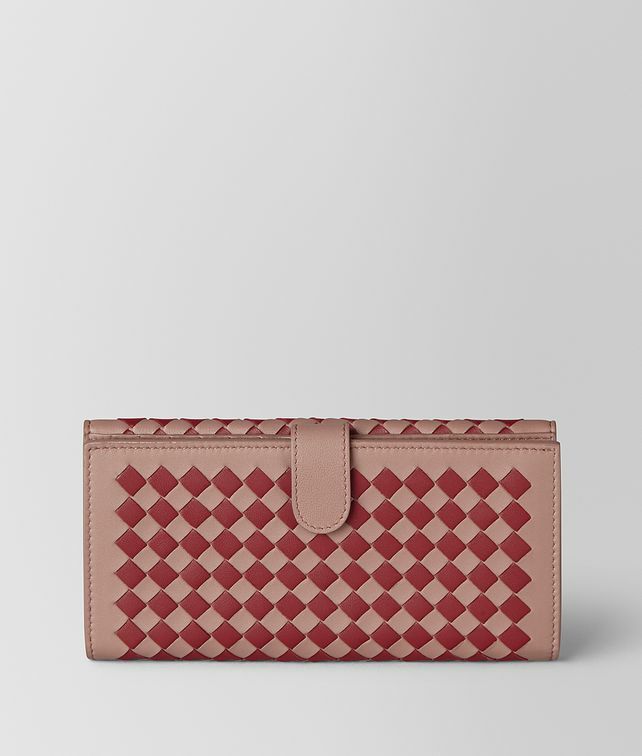 Crafted by hand from soft nappa leather in our graphic Intrecciato Chequer workmanship, the wallet features eight credit card slots, two note compartments and zipped pockets. Height: 19.5 cm | 7.5"